Ischemia Reperfusion Injuries (IRI) are to organ transplantation what the foundation is to a building. You do not see it but the solidity and the longevity of the building relies directly on it. Although the mechanisms of IRI are still not fully understood, much progress has been made in recent years. IRI not only lead to major metabolic dysfunction but also trigger the innate immune response, which in turn provides the co-stimulation signal for adaptive immunity. It is now well established that the severity of IRI impacts the long-term graft outcome. The organ shortage, experienced in almost all countries developing organ transplant programs, requires the use of more and more extended criteria donor (ECD) organs or those retrieved from donors after cardio-circulatory death (DCD). The former are more vulnerable to IRI because of pre-existing lesions; the latter experience warm ischemia, which is an experimental model of IRI. Improving our understanding of the lesions in order to better prevent or treat them has become a major goal in the field of transplantation. 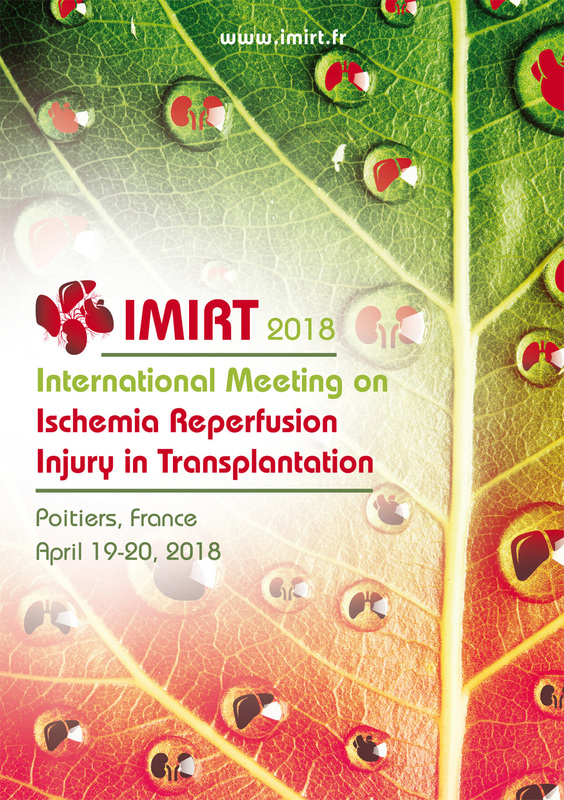 The fourth International Meeting on Ischemia Reperfusion Injuries in Transplantation (IMIRT) will be held at the Medical University, In Poitiers, France (1h30 from Paris by TGV) on April 19-20 2018. This conference is designed for clinicians and clinical investigators, research associates, basic science investigators (cell and molecular biologists), members of public and private funding organizations, hospital administrators, program directors, legislators, and regulatory agency personnel. On behalf of SFT, ESOT and TTS, the program will include oral sessions, each including a “state of the art” lecture by an invited speaker, selected oral communications and poster exhibition. We hope to welcome you in Poitiers in 2018.